Our team would like to work with you to create your own dazzling smile that has a lasting first impression. We provide advanced dentistry with a personal touch. Our Del Mar dental services range from simple to the most complex comprehensive full mouth rehabilitation. We offer services for the whole family including teeth whitening, Invisalign, cosmetic dentistry, general dentistry, and implant dentistry. We are confident we can assist you in achieving the smile you’ve always deserved. 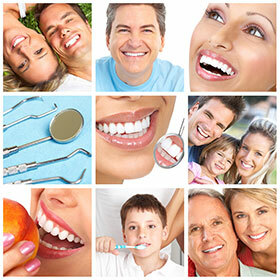 Our commitment is to educate and provide you the tools necessary to achieve and maintain your optimal oral health. Call us today at (858) 350-1005 or request an appointment online for your examination and cleaning.